It might seem almost any cello would work for a beginner, but actually the correct type and size makes a big difference. A beginning cellist struggles to make the first sounds and find the initial notes. The first few months are the most difficult and are critical for a young cellist. A cello that is hard to play or won't perform properly, even when the cellist does, is too much of a discouragement for most beginning musicians. Music teachers often say they can predict which students will drop out of music by looking at the quality and condition of the instruments they begin on. 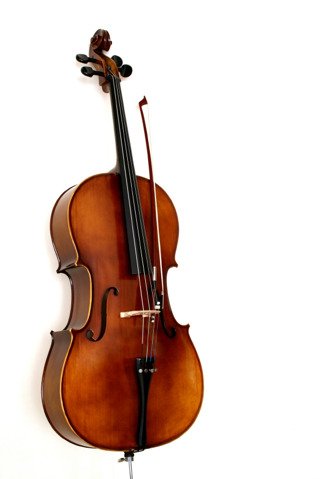 A beginner doesn't need the finest or most expensive cello, but he or she does need a cello that plays easily (doesn't require pressing down too hard on the strings to get the note), will tune up and stay in tune (the tuning pegs fit properly and don't slip), has appropriate strings that respond correctly when played, has suitable bow hair in good condition to sound the strings, is set up and adjusted to play properly, and can be repaired and adjusted as it (inevitably) needs it. Buying outright. 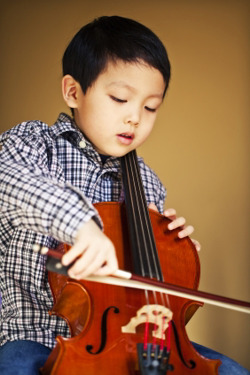 If you're sure your child will like playing music and will want to stay with the cello, you could purchase a cello outright. However cellos that are appropriate for school orchestra aren't inexpensive, and students regularly move up in cello sizes as they grow and progress. The cello a student begins on isn't likely to be appropriate in a few months or years. Internet. Although the Internet is considered a dangerous place to buy a musical instrument, especially a string instrument, someone who really knows cellos and is careful can sometimes find a bargain. By some estimates 95-98% of the stringed instruments sold on the Internet are very low quality and not appropriate for school orchestra use; indeed many music teachers say they are the students' and teacher's worst nightmare. However appropriate cellos can occasionally be found on reputable Internet sites, sometimes at good prices, for those who really know what they're doing.